Since the beginning of social life human societies have faced the problem how to distribute the results of collaborative activities among the participants. The solutions they found ranged from egalitarian to unequal but caused more dissension and conflict than just about any other social structure in human history. Social inequality also dominated the agenda of the new field of sociology in the 19th century. The theories developed during that time still inform academic and public debates, and inequality continues to be the subject of much current controversy. 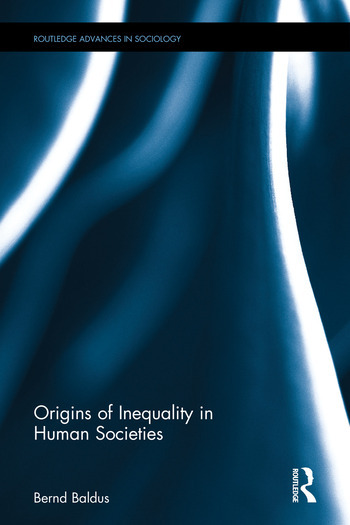 Origins of Inequality begins with a critical assessment of classical explanations of inequality in the social sciences and the political and economic environment in which they arose. The book then offers a new theory of the evolution of distributive structures in human societies. It examines the interaction of chance, intent and unforeseen consequences in the emergence of social inequality, traces its irregular historical path in different societies, and analyses processes of social control which consolidated inequality even when it was costly or harmful for most participants. Because the evolution of distributive structures is an open process, the book also explores issues of distributive justice and options for greater equality in modern societies. Along with its focus on social inequality the book covers topics in cultural evolution, social and economic history and social theory. This book will appeal to scholars and advanced students of sociology, economics and anthropology – in particular sociological theory and social inequality. 4. Inequality’s inner secrets. The cultural evolution of social inequality. Bernd Baldus is Professor of Sociology at the University of Toronto, Canada.